Have you heard of the newest epidemic that you can see where ever you go? It’s called TEXT NECK! A British survey recently described how the recent smartphone explosion has left almost 1/4th of the population with pain in their neck, back, or shoulder. Do you know what they all have in common? Texting is their #1 way to stay connected! Dr. Grace Walker, physical and occupational therapist and nutritionist, wants everyone to be aware how simply checking emails and the latest Facebook post can wear more and more on our bodies as time and technology advances! Sit in an appropriate chair. You should be able to sit all the way back in your chair, with good back support, and have both feet flat on the floor. Sit with your head directly over your body. Avoid unconsciously leaning forward and putting strain on your neck and shoulders. Switch hands frequently and vary the fingers you use. Changing up what hand you use will give your body essential time to rest in between text messages. Frequently look away from the screen. By focusing on a distant object every 10 minutes will help reduce eye fatigue. Technology isn’t going to slow down and neither are we! There will be more apps and faster gadgets, so its important to be conscious of how it affects your body. Don’t let an everyday action cause you pain everyday! Call Walker Physical Therapy and Pain Center to book a consultation if you already are experiencing pain similar to text neck! Zap Your Pain Away with Our Laser! From TMJ to Carpal Tunnel Syndrome, and from shoulder strains to knee injuries, muscle and joint pain can seem like an unsolvable and despairing burden. Thankfully, Dr. Grace Walker, physical and occupational therapist and nutritionist, and her expert physical therapists at Walker Physical Therapy and Pain Center have discovered the miraculous ML830 Cold Laser for these and many other troublesome conditions. Dr. Chadwick Smith, professor of Orthopedics at USC says, “the ML830 Cold Laser has clearly proven its clinical value treating Carpal Tunnel Syndrome, and had become the industry standard”. But how can a laser be so effective? Reduces pain sometimes after one treatment. Most conditions take between 2-9 treatments to completely alleviate symptoms. Chronic conditions may require more treatment. Reduces inflammation By following instructions from your therapist, you can prevent further injury and prevent pain. Increase tissue healing by sending photons (light) into injured tissues without being absorbed by skin, fat, or blood. Increases tissue cell repair and strengthens the tissue. At Walker Physical Therapy and Pain Center, our knowledgeable and caring staff uses the laser for many of our patient’s injuries and painful conditions. “Headaches are often the result of pain from the upper cervical extensor muscles” Says Grace Walker, physical & occupational therapist and nutritionist. Stress is often a component of this. When a person undergoes stress, he/she tends to tense his/her body into a poor posture; a head forward position adopted with chin jutting and upper cervical extension. This position is also seen in most people who have jobs that require them to sit down for long periods of time. The associated upper cervical muscles tighten, trigger points can be palpated and referred pain may be experienced behind the eyes and/or in the occipital, frontal or temporal areas. Call Walker Physical Therapy & Pain Center to schedule an appointment with an expert physical therapist! DON’T clench your teeth when tense, jogging, or sleeping etc. 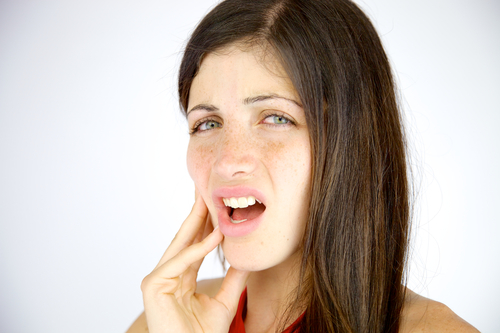 Our Be Free from TMJ & Jaw Pain Program uses non-painful treatments and the latest technology of cold laser therapy to get you chewing your food and yawning again without fear of horrible pain. We work closely with your healthcare provider to solve the source of the problem instead of merely treating the symptoms. Call Walker Physical Therapy & Pain Center to schedule an appointment with an EXPERT physical therapist to get advanced treatments and strategies to maintain results and pain relief. Dr. Grace Walker, nutritionist, physical and occupational therapist, is aware that at the age of 40, everybody begins to slowly lose bone mass. Women between the ages of 60 to 90 are most likely to experience a hip fracture due to the loss of bone density that occurs after menopause. You may be able to slow down this process by simply building as much bone mass as you can before this occurs, which will leave you with more “in stock”. It is important to pay close attention to your bone health if you identify with any factors that increase the risk of hip fractures. It is recommended that women at the age of 65 and men the age of 70 monitor their bone health with a bone density scan. Fractures usually happen with everyday accidents like tripping around the house. Patients with repaired fractures can begin weight-bearing exercises right away with physical therapy to return to their daily activities as soon as possible. If you have fallen, or feel you are risk for falling, call Walker Physical Therapy & Pain Center to start your personalized plan of care with an expert physical therapist! We provide personalized therapy programs for each patient. Our trained therapists have will assess your injuries, old and new, and goals to design a physical therapy program to help you overcome injuries. Dr. Grace Walker, physical and occupational therapist and nutritionist, knows that neck pain can make everyday activities, like driving, an obstacle. Though neck stiffness may fade within a few days, some people may experience symptoms that are long lasting. Physical Therapists can target a specific classification of neck pain such as, mobility deficits, headaches, sprains, etc. Evidence proves that this treatment has a better outcome than just general neck pain treatment. Manipulation/mobilization of the cervical or thoracic spine- The neck is a very vulnerable area and mobilization techni ques can be less invasive and just as effective, in reducing pain, as cervical thrust manipulation. It has been proven that these techniques can improve neck pain and function. Strengthening- Treatments combined with exercise can be extremely beneficial. Increasing the strength and endurance of the muscles that support the neck, called the Deep Neck Flexor Muscles, can reduce the amount of stress on stiff joints while improving the coordination of movements in the neck. Stretching- Neck pain is usually accompanied by lack of flexibility in neck muscles. Therefore, including stretching in your treatment can increase neck mobility. In a study, neck stiffness was seen to improve in patients who practiced stretching almost as much as patients that underwent manual therapy. At Walker Physical Therapy and Pain Center, we have an effective program for our patients with neck pain. We look at the “root cause” when treating neck pain to provide insights as to why you are experiencing pain, instead of just a quick fix! We come up with personalized programs for each patient to provide results in an affordable, fun and healing environment. Call Walker Physical Therapy & Pain Center to schedule an appointment with an expert and caring physical therapist! 70% of Adults Complain of Neck Pain, Do You? Dr. Grace Walker, physical and occupational therapist and nutritionist, has reviewed a recent study that examined how effective physical therapy was for patients with neck pain. Guess what they found? Physical therapy was successful in treating neck pain. They used 3 methods: electrotherapy, kinesiotherapy, and manual massage. Results showed a combination of the 3 methods was the most effective. Neck pain often stems many things; from something severe such as a traumatic injury, to prolonged poor exposure while working or driving. However one thing you might not have known is that injuries affecting other parts of the body, such as the shoulders, back and even hips, may be the root cause of neck injury. At Walker Physical Therapy and Pain Center, we have an effective program for our patients with neck pain. We look at the “root cause” when treating neck pain to provide insights as to why you are experiencing pain, instead of just a quick fix! We also look at our patients BMI and then look at the daily activities demand. Have you ever wondered what the differences are between occupational and physical therapy? While many aspects of occupational and physical therapy do overlap, they are not exactly the same. Continue reading as Dr. Grace Walker, physical and occupational therapist and nutritionist, explains the differences and similarities of physical and occupational therapy. Occupational therapy (OT) originally began as a method to treat the mentally ill. OT has transformed into a field that helps people live independently in many different ways. Today, occupational therapists work in many diverse settings, from prosthetic and adaptive aids to assisted living care. The key word to keep in mind when thinking of occupational therapy would be “independence”. Physical therapy (PT), on the other hand, involves treating an actual impairment. Reasons you might see a physical therapist could be rehabilitation after an injury, strengthening to prevent injury, balance rehabilitation, and TMJ- just to name a few. The goal of physical therapy is to restore mobility, decrease pain and educate. This minimizes the need for expensive surgery or long-term reliance on medications. Physical therapists also teach patients how to prevent or manage their condition so they can secure long-term health benefits. At times, occupational and physical therapists do work together. This type of program would involve the PT focusing on the impairment, while the OT helps the patient complete necessary tasks with the impairment. For instance, a worker injures his hand and is unable to work or care for himself. A physical therapists would help compose an exercise program, select and use adaptive equipment, regain mobility, and ultimately get the worker back to his job. An occupational therapist would help the worker re-learn how to dress himself, cook for himself, and cleanse himself. The examples posted here are a very small list of the differences and similarities between OT and PT. The three largest similarities between them is that they have the same goal- to get patients healthy, happy, and live life to the fullest. At Walker Physical Therapy and Pain Center, our mission is to inspire, educate and motivate clients by providing affordable treatment while promoting healing in an environment that fosters integrity and respect. If you are experiencing pain, discomfort, or lack of mobility, call us at (714) 997-5518 to schedule an evaluation with one of our expert physical therapists. Stress is often a component f this. When a person undergoes stress, he/she tends to tense his/her body into a poor posture; a head forward position adopted with chin jutting and upper cervical extension. The associated upper cervical muscles tighten, trigger points can be palpated and referred pain may be experienced behind the eyes and/or in the occipital, frontal or temporal areas. A certified physical therapist and nutritionist, Dr. Grace Walker is also a registered occupational therapist. Dr. Grace Walker offers care through the Walker Physical Therapy and Pain Center in Orange, California. As the owner and principal therapist, she provides treatment for outpatient disorders, such as joint pains, and rehabilitation for sports injuries. The Walker Physical Therapy and Pain Center utilizes advanced technologies to care for tendonitis, back pain, arthritis, carpel tunnel syndrome, and bursitis. the ML830 is a cold laser that repairs injured tissues by sending photons of light directly to the affected area. The light penetrates two inches into the body without affecting blood, fat, or skin. It then stimulates cells to encourage rapid repair of tissues. Following a treatment with the ML830 laser, patients generally notice less inflammation and pain. At the same time, tissues become stronger, and with proper preventive measures, a person can keep pain from returning. For an appointment with an expert physical therapist call Walker physical Therapy and pain Center at 714-997-5518. Located in Orange, Ca.